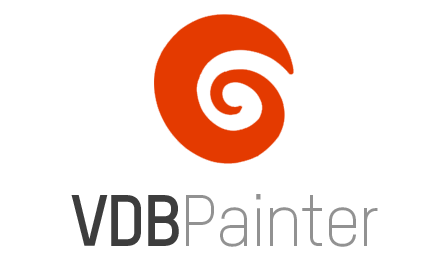 mbPainter for Sidefx Houdini is an Artist Friendly Set of Tools for interactive Manipulation of OpenVDB (www.openvdb.org) SDF Volumes. It includes 3 Basic Modes. Brush Tools (BT), Mesh Fusion (MT) and Filter Tools (FT). Everything works on one Node and Binary Data gets stored within the Digital Asset. It enables Artists to use all the OpenVDB Tools Interactively within Houdini’s Viewport. This is a free Non Commercial Tool. It is released in Alpha Test Version. Dont expect everything to work as intended. There are limitations I am working on to improve. I tried putting in as many tools that would help Sculpt things. Some of them are not working as intended. For example I just recently noticed the VDB reshape and Smoothing seem to resample the Volume causing to lose Details. Thats a bummer so we are still looking for better Volume Combiner Techniques.